Amazon’s NYC Exit Is A Big Win For Private Enterprise And Property Rights Against Progressive Government. Amazon recently announced that it is withdrawing its offer to develop a second headquarters in New York City. 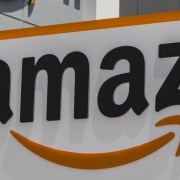 Prior to this announcement, Amazon had been “negotiating” with state and city politicians about the economic conditions of locating its new center. While Amazon thought it had arrived at an agreement it could accept, the progressive left continued to attack the company for its “corporate greed”, threatened politically-assisted unionization (NYC Mayor Bill De Blasio himself threatened to bring unionization pressure), and raised the specter of a veto on any and all agreed negotiating points by nominating Democratic State Senator Mike Gianaris to the State’s Public Authority Control Board. Any negotiation between private enterprise and government over the economic conditions that the government sets as a condition of a firm’s operation is doomed to failure. Government is the enemy of private enterprise. Private enterprise creates, produces, enhances lives and brings economic betterment. Government confiscates, regulates, taxes, restricts and strangles business. Even if it were to agree to temporarily reduce the pressure of the strangulating action, it would be unwise for any enterprise to trust in the promise. In fact, the New York progressives did the opposite: they negotiated an agreement and then, once it was signed, immediately repudiated it. Amazon’s wisdom in cancelling its deal is a blessed reinforcement for capitalism and private enterprise. The current direction of left-wing sentiment in the US towards a greater acceptance of socialism and a repudiation of capitalism and entrepreneurship can not be airily dismissed as merely a passing fad; it is potentially an existential threat to civilization. The current wave of extreme progressivism has a far more nefarious goal than simply higher taxes on the super-rich or carbon taxes to scrub down the environment. Indeed, the long-run objective of the new socialists and the gang of social justice warriors (SJW) is to gradually delegitimize the very foundations of modern capitalism by obliterating conventional notions of property rights, fairness and justice. The capitalism that has raised the living standards of every American citizen to the great heights enjoyed today is based on a legal system of individual property rights. Take, for example, the most obvious and essential capitalist institution: the private stock corporation. It is solidly rooted in the notion that individuals have rights; that these rights include the right to incorporate; the right to instruct managers of corporations to maximize profits; and the right of owners to sell their shares. These individual rights are the moral foundation for the existence and operation of all modern business organizations. It is morally appropriate for individuals to own property; to exclusively determine its use; and to enjoy the benefits earned from production or exchange. Modern progressives and socialists reject individual property rights. They reject the legal system that upholds these rights. They reject the moral status of property rights. They want government to have the power to alter property arrangements of which they disapprove, and to redistribute income and privileges to anyone they nominate, in the name of “fairness” and “social justice”. Ludwig von Mises wrote that it is the characteristic of capitalism that the efforts of a small minority of savers, technologists and entrepreneurs compound for the benefit of the majority, who enjoy the high standard of living and material comfort that result. Yet the majority, while enjoying the outcome of capitalism, do not understand its mechanisms. They believe economic progress is some kind of inevitable trend, which benefits them by right. Because they don’t comprehend, they allow envy – the failure to enjoy what you have because another person has something you don’t – to fog their vision and twist their mind. That’s how the words capitalism and capitalists become derogatory insults, rather than celebrations of achievement. Or, as Alexandria Ocasio-Cortez put it: “…New Yorkers and their neighbors defeated Amazon’s corporate greed, its worker exploitation, and the power of the richest man in the world.” They also, of course, relinquished the jobs, income, revenue, health care benefits, neighborhood redevelopment and corporate earnings reinvestment that would have accompanied Amazon’s HQ2. Fifty-seven percent of voters have a positive opinion of capitalism. That’s more than twice the number who feel the same about socialism (25 percent). By a 25-point margin, more Republicans (72 percent) than Democrats (47 percent) have a positive view of capitalism. Moreover, Republicans (54 percent) are three times as likely as Democrats (17 percent) to have a “strongly” favorable view. More than twice as many Republicans (68 percent) as Democrats (30 percent) think the way capitalism is working is fair. Six-in-ten Democrats (60 percent) say capitalism does not give them a fair shot. The most amazing thing concerning the unprecedented change in earthly conditions brought about by capitalism is the fact that it was accomplished by a small number of authors and a hardly greater number of statesmen who had assimilated their teachings. In other words, the thought-leadership for capitalism is in just a few minds. The benefits of capitalism are more likely to be embraced by the majority than the structure of thought behind those benefits. 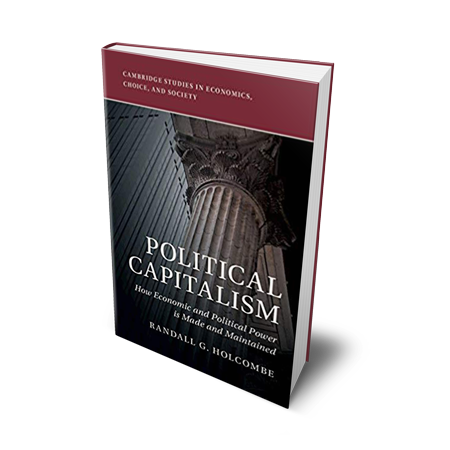 The problem faces us that the politicians, professors, schoolteachers, journalists, authors, filmmakers, and media producers who dominate communications – especially communications to young people – are capable of shaping the anti-capitalist thought patterns through which the benefits of capitalism are processed. This is what allows American citizens to enjoy the material comfort of the entrepreneurial economy that works ceaselessly to improve their living conditions, while at the same time condemning the entrepreneurs as exploitative if they happen to be successful. Amazon did the pro-capitalists a great favor by exiting their NYC deal when the progressives threatened more economic extraction. The company demonstrated belief in their own purpose of economic betterment, and adherence to the principles of contract based on property rights. Let’s cheer them on. It’s not often that supporters of the free market find themselves agreeing with the newly elected Congresswoman and posterchild of Democratic socialism, Alexandria Ocasio-Cortez. However, in the wake of Amazon finally announcing which cities will house the company’s new headquarters, many market economy advocates have found themselves nodding in agreement as Ocasio-Cortez decries this as an act of corporate welfare. For nearly a year, cities all around the country have been bending over backwards trying to convince Amazon to choose them for the company’s HQ2. Finally, less than two weeks ago, the company announced that two cities had been selected. After an intense search, Northern Virginia and New York City have been declared the winners of this contest. To be sure, the two new locations will result in the creation of almost 50,000 new jobs, which is a major benefit to our economy. However, while this number is certainly impressive, it comes with about $2 billion worth of tax incentives. Her initial Twitter comment eventually evolved into a thread where she laid out her concerns that Amazon was using this opportunity as an easy access point to taxpayer dollars. She also condemned Amazon for its claim that the new headquarters will benefit the local community by creating jobs when these jobs will likely be filled by those living outside of the city. Typically, when Ocasio-Cortez makes any sort of economic commentary, many who favor the free market have been inclined to disagree by default. After all, the young Democratic socialist has voiced extremely radical beliefs that support an ideology that has claimed far too many human lives. In fact, according to Free the People’s Matt Kibbe, socialism has claimed the lives of at least 100 million people just under the regimes of Vladimir Lenin, Joseph Stalin, Mao Zedong, Kim Jong-un, and Kim Jong-il alone. And when it comes to supporting public services, the New York City Subway system is not the most deserving recipient of tax dollars either. 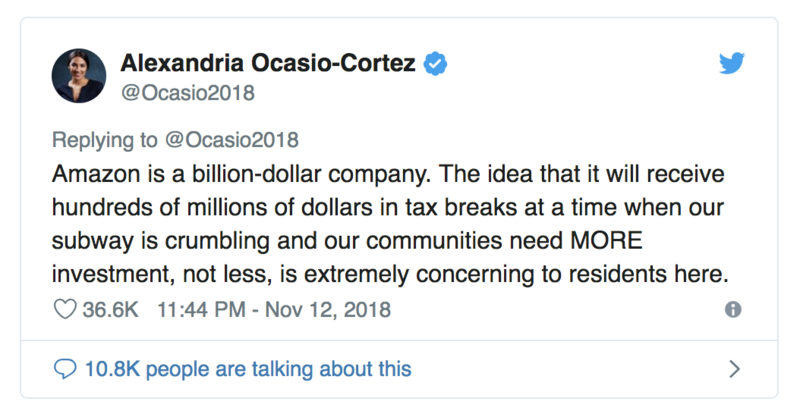 However, when it comes to chastising Amazon for its use of corporate welfare, the young Congresswoman-elect is absolutely correct. When Amazon made the decision to build a second headquarters, it could have also made the decision to quietly conduct market research until it determined which city made the most sense and could meet the needs of the massive company. Instead, it chose a different route, one that resulted in pure pandemonium as cities competed to make themselves desirable to the company. The announcement that Amazon was looking for a location for its HQ2 sent cities all around the country, and Canada, into a bit of a competitive craze. In fact, a recent article highlighting the just how absurd this competition got highlighted some of the more ridiculous perks that cities offered up to Amazon to prove their undying loyalty. Montgomery County, Maryland took things to such extremes, its proposal for the company included over $6.5 billion in tax incentives. The incentives were included in the PRIME Act, as it was so appropriately called, and would have been the largest economic development package in the state’s history. Stonecrest, Georgia also went to extremes and in addition to tax incentives, offered to change the name of the town to “Amazon, Georgia” and offered Jeff Bezos the role of permanent town mayor. Boston, Massachusettes offered up its cities most impressive scholars to the company and even offered to pay their salaries with tax dollars. 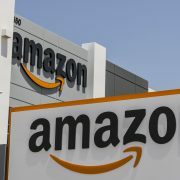 Some cities, like Manhattan, even offered Amazon relief from zoning laws that might otherwise prevent or make it more difficult for the company to open up shop. One can only wonder how much the city might benefit from offering this perk to smaller companies who cannot afford to pay off the government in exchange for less restrictive regulatory oversight. Amazon’s slow evolution into a corporate welfare queen has been a hard pill for many free market advocates to swallow. After all, the company’s entire existence was a testament to the power of the market and the process of creative destruction. Amazon initially rose to prominence by doing what traditional bookstores did, only it did it better, completely dissolving the need for brick and mortar stores like the now-defunct Borders bookstore. Eventually, Amazon moved from books and encroached on just about every other retail category you could possibly imagine. In fact, Amazon can likely be tied to the end of Toys R Us and other retailers. But again, this was all part of the market process and earned Amazon a lot of praise from market economy advocates. But over the years, Amazon’s market practices have dissolved and morphed into something else entirely. Creating new jobs for Americans is absolutely something to be praised, as is voluntarily raising the minimum wage for your employees. But the fact that Bezos has had to utilize the government, whether through lobbying Congress or using tax incentives, to bring about these changes speaks volumes. Amazon is a rich and powerful company, it does not need taxpayer dollars to maintain its success. And yet, that is what Bezos has resorted to in his quest for continued success. And this reliance on the government has become such a problem, it has led to the unprecedented agreement between market economists and Democratic socialist Alexandria Ocasio-Cortez. “BEZOS” is, of course, an acronym for the full bill’s name, which is “Stop Bad Employers by Zeroing Out Subsidies Act.” However, either way you look at it, this is a direct hit to Amazon from Sanders. If the bill gains any traction in the Senate, it would essentially force private companies like Amazon and Walmart, to pay for government food stamps, public housing, Medicaid and any other federal assistance program employees may use. This would happen by mandating that companies with 500 or more employees must pay 100% of the cost of federal assistance programs being used by employees. Sanders has tried to frame his bill as an effort to relieve the taxpayers from having to pay for these welfare programs. That might seem reasonable on its face value, but the reality is anything but. But, like many things Sanders says, the facts don’t add up. Sanders’ claims that many of Amazon’s employees are struggling to get by are simply untrue. Not only did he include global employees in his initial allegations, but he also included temporary employees who are not actually full-time with the company. 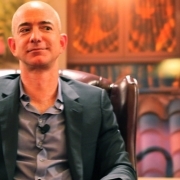 In response to his allegations, Amazon published a blog addressing his inaccurate statements. Amazon’s blog post also addressed the inaccurate picture Sanders painted of Amazon employees being the recipients of food stamps. Many of the workers who were on food stamps were temporary employees without full salaries and benefits. And many had taken temp work because they were already experiencing financial setbacks unrelated to Amazon. So to blame Amazon for this, and then force them to pay for government programs is absurd. Of course, this isn’t the first time progressives have gone after Amazon in an attempt to force the company to pay for welfare assistance programs. Seattle’s City Council voted to force Amazon to subsidize housing for the homeless because they believe it is paying its employees too much, thus driving up the costs of homes. This is actually hilarious in light of Sanders’ new bill which claims Amazon is paying its employees too little. It seems like the real problem here is that Amazon success has made many progressives feel as if they are entitled to some of its profits. But these types of policies serve only to hurt employees. If Amazon is forced to pay for welfare programs, in addition to other attempts to squeeze money from the company like in Seattle, it will have to make cutbacks somewhere. So, either consumers will see a rise in the cost of consumer goods or employees will see a decrease in their pay. Of course, there is still another option on the table. If Amazon is forced to pay for these programs and chooses not to lower employee wages to make up the difference, it may be forced to lay off employees. Long story short: no one wins in this situation except for Sanders, who gets to have a false feeling of moral superiority. There is no logical reason behind making Amazon pay for food stamps and public housing. Hopefully, the rest of the U.S. Senate understands this and shoots down this bill before it goes anywhere. Amazon has become the target of just about everyone who is envious of its success or wants to find a way to take a piece of Bezos’ digital empire. 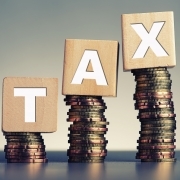 Recently, the city of Seattle passed a new law, levying a new employment tax on the company. The city is essentially blaming its rising rates of homelessness on Amazon’s generous employee salaries. City officials claim that since Amazon employees can afford to pay for more expensive homes, housing costs are rising, thus resulting in many Seattle residents taking to the streets in desperations. And after a year and a half in office, the President still hasn’t seemed to have a change of heart for Bezos and Amazon. But is there any truth to Trump’s claims that the Amazon is both destroying jobs and “stealing” money from the taxpayer? The American people are not united on much these days, or so it would seem. However, if you wanted to give Americans a reason to unite against their leader, threatening their Amazon Prime accounts would be a surefire way. 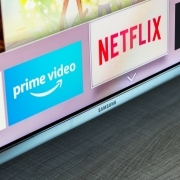 Earlier this year, a report produced by the Consumer Intelligence Research Partners (CIRP) found that over 80 million people in the United States hold Amazon Prime memberships. A number worthy of recognition especially considering that it has doubled in less than two years. Amazon has revolutionized the American retail experience. Not only do Prime members get free two-day shipping on essentially any item they wish to purchase from food to electronics, but members also have access to Amazon’s library of streamable films, shows, and music at their fingertips. Need an item in less than two days? No problem! 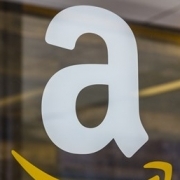 Amazon Now offers delivery services in under an hour for participating products. Even more amazing, Amazon Prime now also dabbles in the restaurant delivery service business competing with the likes of Uber Eats and GrubHub. And yet, in spite of all these subcategories, each requiring its own set of employees, Donald Trump has accused Amazon of inhibiting job growth in the United States. As of January of this year, Amazon had 306,800 employees and a promise to hire an additional 100,000 full-time employees by mid-2018. On their own these numbers are impressive, but they do not account for the additional employees who will find future part-time employment via Amazon’s participation in the sharing economy. Receiving an Amazon Prime package as an adult is akin to opening up a Christmas present from Santa Claus as a child. You don’t know how the package arrived, but it doesn’t matter. You asked for it and 48 hours later it appeared on your porch as if by magic. Unfortunately, there is no mythical Amazon being responsible for delivering these packages. There is, however, an army of Amazon delivery personnel who operate on the sharing economy model. Like the “Uber of packages,” Amazon couriers work when they want. As with the rest of the sharing economy, this allows millennials interested in side hustles or others looking to get ahead financially the opportunity to work around their own schedules. In the few years since the sharing economy has grown in the United States we are already seeing the benefits it brings both in job creation and consumer satisfaction. Amazon’s restaurant delivery service works the same way. As Americans are generally discontent to live mediocre lives with mediocre salaries, these side hustles have become essential to living a full and prosperous life. Amazon’s contributions to the sharing economy as well as the overall job creation in the country is something worthy of praise. Yet instead, the company’s reputation is being eviscerated by the President in very public social media posts. Trump has made the claim that Amazon hasn’t paid its fair share of taxes and is thus, stealing money from the American people. This is entirely untrue, but what Trump is implying by this comment hits at the core of his real problem with the company: he’s a brick and mortar enthusiast. So if it’s not about destroying jobs or stealing tax dollars, what is Trump so mad about? Trump is a traditional businessman who made much of his money through the real estate business. By nature, the virtual business realm is almost completely foreign to him. Trump has made his living buying and selling physical space. Subscribers to the belief that Amazon is the boogieman of the brick and mortar world will appreciate this, as they see Amazon and other online retailers as a threat to their existence. But it is not and never has been the president’s job to decide which companies succeed and which ones fail. That power rests with consumers who utilize the power of their own purses at their own discretion. Unfortunately for Trump and other brick and mortar protectionists, Amazon is constantly proving that consumers prefer to use its retail platform above all other options. For a president to openly condemn a company for outperforming the competition is antithetical to the free market that Trump pretends to support. At the end of the day, Trump is worried about his own interests, not the interests of consumers. But there is another layer to Trump’s disdain for Amazon. And like many of Trump’s stances, this one is also rooted in personal drama. Facts have never meant much to our president, but any criticism cast in his direction has quickly garnered his attention. Jeff Bezos, the CEO of Amazon, recently purchased the Washington Post, a publication that hasn’t shied away from attacking Donald Trump. Unfortunately for Trump, he has chosen to attack a mighty monument of consumerism. Amazon’s services are just too good and too plentiful to fall victim to Trump’s attacks. In fact, Amazon Prime’s 80 million subscribers outnumber the 57.6 million people who voted in the 2016 election. Sorry President Trump, consumers have already voted with their dollars and they choose Amazon. Over the last several years, certain members of the Seattle City Council have embarked on a quest to make the city a socialist utopia. From raising the minimum wage to a whopping $15 an hour to instituting a ridiculous soda tax on consumers, Seattle loves to squeeze money from its residents and business owners in any way that it can. On Monday, the City Council continued this pattern by voting to implement a new “employment tax” on large Seattle-based businesses. The city is justifying this tax on major job creators like Amazon, Microsoft, and Boeing by blaming them for Seattle’s increase in homelessness. By the city’s logic, these companies have set the bar too high when it comes to employee wages. This has subsequently led to an increase in housing prices, which the city believes is responsible for the rise in homelessness. However, after losing consumers to the convenience of Amazon and online retail in general, many brick and mortar locations are finally realizing that they must either innovate or cease to exist. And this change in attitude is in part thanks to the new Amazon Go location in Seattle. Amazon Go is unlike any other store you have ever visited. Completely automated, Amazon Go puts the shoppers in control of their experience. To enter the store, each shopper must scan the Amazon Go app on their smartphone. After gaining entry, shoppers need only grab what they want, and then leave the premises. It’s as simple as that. The store shelves have sensors that know when a shopper has picked up an item. If the shopper changes his or her mind and returns an item to the shelf, their Amazon Go cart will adjust the total accordingly. And since the app is connected to their debit or credit cards, payment occurs automatically and without having to wait to see a cashier or use the self-checkout. At the end of last year, Amazon unveiled, “Amazon Go,” a futuristic, fully-automated convenience store set to open its doors in Seattle, Washington, within the next few months. While this exciting new venture promises to make quick-stop shopping trips easier for busy consumers, critics are wary of this type of advanced automation, and fear its widespread use could jeopardize a vast amount of jobs. Amazon Go is a truly unique shopping experience free of lines, registers, and checkouts of any kind. Instead, the store utilizes its customers’ smartphones and “grab and go technology,” which allows the consumer to simply walk in, grab desired items, and then get on with the rest of their day. 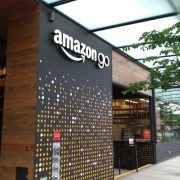 However, since this modern convenience store does not require human employees, labor activists fear the negative implications Amazon Go could potentially have on employment rates, especially if more companies begin moving toward automation. These concerns in regards to employment are not necessarily unwarranted, nor are they specific to our modern world. In fact, mankind actually has a long track record of fearing mechanical progress and blaming it for high unemployment rates throughout history. 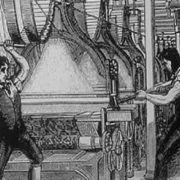 During the Industrial Revolution, many workers resented mechanical innovation, believing it would result in mass unemployment across sectors which traditionally relied on manual labor. In the stocking industry, for example, fear of machines was so intense, massive riots erupted as soon as workers were introduced to the new mechanical knitting machines known as, “stocking frames.” In the midst of all the chaos, new machines were destroyed, houses were burned, inventors were threatened, and peace was not restored until the military eventually intervened. Unfortunately, the stocking industry example is not an isolated instance of machines causing mass hysteria over employment concerns. In fact, similar outrage was experienced across the globe throughout the entire Industrial Revolution. In the United States, the Great Depression caused another wave of mechanical skepticism, when a group calling themselves the “Technocrats” blamed mechanical advancements for high unemployment rates. To the credit of these mechanical skeptics Hazlitt called, “technophobes,” their fears of unemployment were not entirely incorrect. Likewise, 27 years after the invention of the cotton-spinning machine, which was met with similar hostility as the mechanical stocking frame, the number of workers employed in the industry had grown from 7,900 to 320,000, a rate of 4,400 percent. Yet, no matter how applicable Hazlitt’s words of wisdom may be in our modern world, there are still those who fear technological progress, rather than celebrate it. Unfortunately for the naysayers, automation is likely to play a greater role in our lives in the very near future. Already, several fast food companies have begun replacing human cashiers with automated kiosks in order to cut back on costs. Additionally, Uber began piloting its fleet of self-driving cars last year and plans to eventually use these autonomous vehicles to replace its human drivers. However, there is no need to fear this change. As the great Frédéric Bastiat reminds us, there are positive market elements which may be unseen to many, especially critics of automation. Uber, for example, may soon be significantly decreasing its need for human Uber drivers, but that does not mean these drivers will be left destitute or jobless. Instead, Uber has simultaneously been expanding its delivery services. From flu shots, meals, and even puppies, Uber offers a variety of services that, at this point in time, still require human employees. If, in the future, drones are capable of replacing human delivery services, it will only be a matter of time before new opportunities become available on the market. Many may be surprised to learn that despite the advanced weaponry available today, there are more blacksmiths now than at any other point in history. Progress does not come without an initial shakeup of traditional norms as the market adjusts to new technology, but this change should be embraced. As the stocking makers and cotton spinners have taught us, innovation should never be discouraged because with technological progress comes more opportunities for the human race.